Catherine Andreozzi, Associate Professor, Apparel for 3-D printed apparel/footwear to be exhibited at the 3-D Print Show that will travel to London, Paris and NYC. Cas Holman, Assistant Professor, Industrial Design, for further development of the Riga-ma-jig, a collection of specifically-designed wooden planks, wheels, pulleys, nuts, bolts and rope that allows children to build, collaborate, and follow their curiosity while playing. Suzanne Scanlan, Lecturer, HAVC, for research in Italy for her book on 15th century women’s devotional practice and for another book project on candid death memorials of lay women on Rome. Eric Anderson, Assistant Professor, HAVC, for research for his book project “The Media of Objects: Design and Display”. Shawn Greenlee, Assistant Professor, Foundation Studies, for the development of an audio recording system that explores the restructuring of temporal, spatial, and spectral elements that he will use for upcoming performances. Silvia Acosta, Professor, Architecture, for digital documentation of the spatial sequences of Carlo Scarpa’s architecture. Henry Horenstein, Professor, Photography, for technical support for a book of his photos of Thompson Speedway patrons. Dalia Linssen, Lecturer HAVC/Photo, for her curation of an exhibit at the Sonoma County Museum of the work of photographres Mieth and Hagel. Pari Riahi, Assistant Professor, Architecture, for an investigation of the potential architectural and planning means to transform living conditions in at-risk suburbs in Paris. 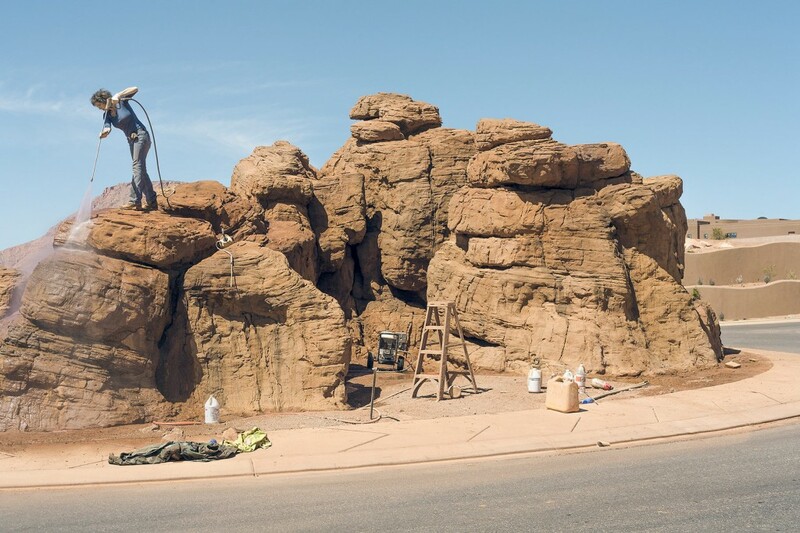 Steve Smith, Professor, Photography, for the documentation of small-scale effigies of the landscape used as decorative elements in suburban Southwestern homes. Chris Taylor, Senior Critic, Glass, for the fabrication of tools that he will use to reproduce 18th century cylinder plate glass technologies. The Professional Development Committee is chaired by Rosanne Somerson, Provost. The 2013/13 members were Deborah Coolidge (Asst. Professor, Foundation Studies), Daniel Heyman (Senior Critic, Printmaking), Khipra Nichols (associate Professor, Industrial Design), Sarah Osment (Term Appt., Literary Arts and Studies), Laurie Whitehill Chong (Special Collections Librarian).